Lab suppliers interesting in generating scientific product sales leads may also be interested in marketing their life science solutions at University of Southern California life science marketing events. The University of Southern California is one of a small group of leading institutions that develops a steady stream of new research and technology. According to the University of Southern California's website, the university has more than $600 million in annual research expenditures and has been ranked in the top 10 private universities conducting federally funded research. The University of Southern California educates 40,000 undergraduate and graduate students every year and employs 3,563 faculty members. As of June 30, 2012, the University of Southern California had a $3.5 billion endowment. Between 2011 and 2012, the university had $535 million in sponsored research. In addition to having substantial funding of its own, the University of Southern California also receives a great deal of NIH and NSF research funding. In 2012, the NIH gave the University of Southern California $194.3 million in research funding. The top-funded life science department at the University of Southern California was biology, which received 39 awards totaling $13.9 million from the NIH. For a full list of University of Southern California departments receiving NIH funding, please visit the NIH website. The NSF also gave the university $48.1 million in 2012. Of that research funding, $3.8 million went towards life science research projects alone. If you are a lab supplier trying to market your life science solutions and increase scientific product sales leads, Biotechnology Calendar, Inc. invites you to attend our annual USC Health Sciences BioResearch Product Faire™ Event, held on the University of Southern California’s Health Sciences Campus on October 9, 2013. The campus is situated three miles from downtown Los Angeles and seven miles from the University Park Campus. The 50-acre Health Sciences Campus has a number of departments conducting groundbreaking research in cancer, gene therapy, the neurosciences, transplantation biology and many other fields. The campus also houses the region’s oldest medical and pharmacy schools. 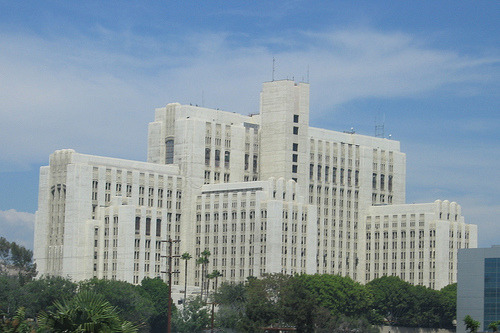 Some of the research centers on the University of Southern California Health Sciences Campus include the Los Angeles County – USC Medical Center, the USC University Hospital, the Institute for Genetic Medicine, the USC Norris Comprehensive Cancer Center, the Zilkha Neurogenetic Institute, the Eli and Edythe Broad Center for Regenerative Medicine and Stem Cell Research, and the Doheny Eye Institute. Last year, Biotechnology Calendar, Inc.’s USC Health Sciences BioResearch Product Faire™ Event attracted 132 attendees, of which 27 were purchasing agents, professors and post docs, and 21 were lab managers. These visitors came from 19 different research buildings and 23 departments across the University of Southern California Health Sciences Campus. University life science marketing events are one of the most effective ways to market life science solutions and generate scientific product sales leads, and Biotechnology Calendar, Inc. is proud to have been marketing science research events and producing on-campus trade shows for the past 20 years. If you are interested in attending a trade show closer to home, we encourage you to view our 2013 calendar of events. For more event and funding information for the University of Southern California, please click on the button below.